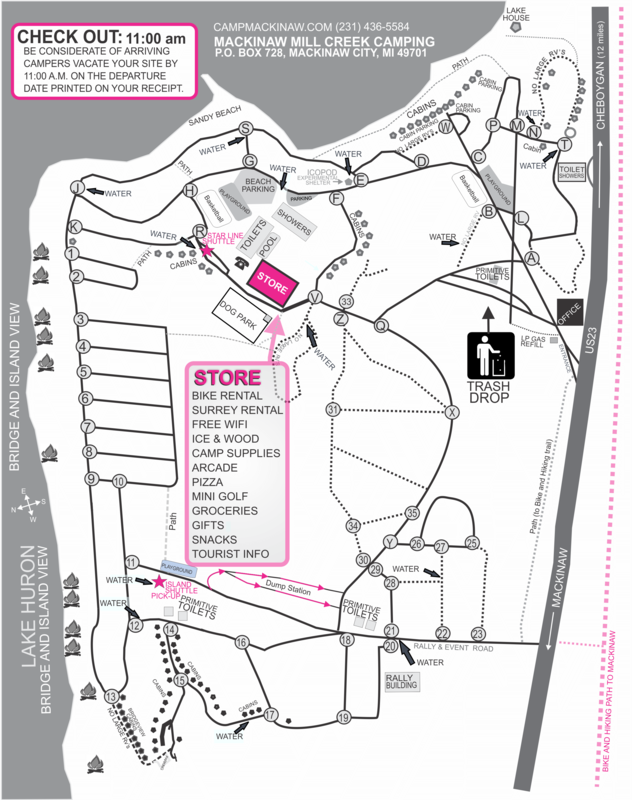 Campground map shows campsite areas, campground amenities, park store location, park office and points of interest. Be considerate of arriving campers. Vacate your site by 11am on the departure date printed on your receipt. Quiet hours are enforced from 10pm to 9am. Report noisy campers between 10pm and 9am by calling (888) 853-6779.